Talawa Theatre Company has just celebrated its silver anniversary having spent quarter of a century creating exciting opportunities for black British artists. Ensuring the company’s commitment to unheard voices and new writing stays strong, Michael Buffong takes to the helm as the company’s new artistic director. Following the phenomenal success of Moon on a Rainbow Shawl Buffong is at the top of his game and brimming with creative ideas. Speaking to him about his upcoming plans for Talawa and the innovative new project Talawa Firsts it seems Buffong is determined to establish a new era in black British theatre and is positively raring to go. Congratulations on your new position as artistic director at Talawa. How are you finding your new role? Thank you. It’s a lot to take on, but I’m also up for the challenge. It’s daunting but also exciting so it’s all good. I actually started out at Talawa. When I was an actor I did one production here, but when I first started directing I was assistant director to Yvonne Brewster. So I’ve been involved with the company for many years and in that time I’ve done readings with Talawa and various other work so when the opportunity came up I thought this is a good time, and a good place to be, so why not? What does Talawa embody that other black theatre companies don’t? I think one thing about Talawa is they have an amazing legacy. They’ve been going for 25 years and in that time some amazing talent has passed through here. They’ve produced some outstanding work so that alone separates it and the plan is to keep that legacy going and keep all those values that it started out with. Principally finding work for black practitioners. How is that different from other black theatre companies? I don’t know, but I don’t think they have the legacy that Talawa has. Also one of the strong selling points of Talawa when it first started is that it did the classics. That was its major thing and that’s something I want to pick up again, presenting classics in a new way. I think it’s achieved that recently with Waiting for Godot. What did you think of the recent production of Waiting for Godot? I thought it was excellent. It had completely reinterpreted it and showed it in a different light and added new depths. I think the search element really came through, also hope, what it is we’re searching for as human beings. All those questions I think really came through in this production and that’s something that I really want Talawa to do more of. 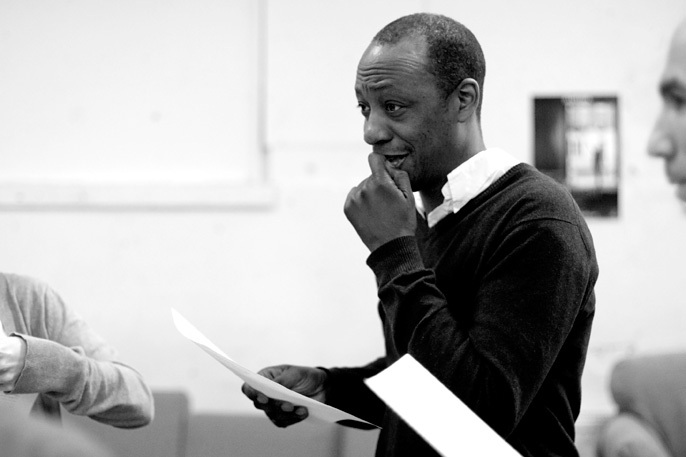 You’ve premiered the project Talawa Firsts, what was your motivation for that? The idea of Talawa Firsts was to bring new people into the company. Get people in early; get new actors, directors and writers to come in. Also we’re doing it in our studio, which for me is fantastic. It’s absolutely brilliant to be able to bring in new writers and directors and say ‘There’s a space you can have’ and give them the time to workshop, experiment and explore in a creative environment. Then if they’re able to, finally turn it out and present it. All these directors come in and say ‘Mike I want to explore this text in this way’ and I’m able to say ‘Yeah, cool. Go on then.’ That’s what this project is all about. This is the first one we’re doing and I think it’s going well. We’re doing live streams and getting a buzz going around Talawa and what we’re doing, hopefully the pieces were doing are picking up in interest in other places. So it’s all going great. How did you set the wheels in motion? I found some scripts left over from the runners up of the Alfred Fagon Award last year and I liked them and thought ‘What’s going to happen to these?’ That’s when I thought I’d like to be the person to give these pieces a showcase. The first two were runners up and the one you’ll see tonight is Keepsake by Fraser Ayres. I met Fraser and he said ‘Mike I’ve got this script’ so I read it and I liked it. That’s sometimes how it works. 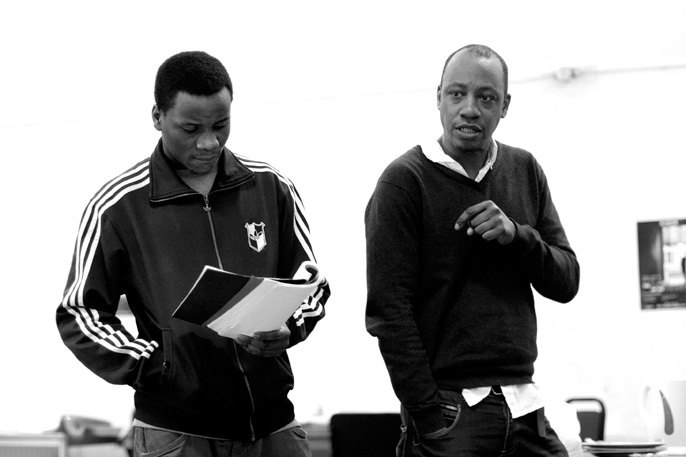 Talawa Firsts is an extension of a project called Hot Spots, which focused on new and emerging artists and new ideas. But back then they just workshopped here and used the studio space, they didn’t present anything. So Talawa Firsts takes it a step further. There have been suggestions that the work Talawa has done in recent years has become a little complacent. Can you comment on that? I’m hoping to change all that. I want to start the script reading service up again and get in lots of new artists. I can believe that’s some people’s perception of what the company was doing at the time. I suppose for me, I know what the company can do, that’s where I’m coming from. I’m personally really excited by it all, and I’ve got to be excited by what’s going on. What else excites you in life? Has working in America ever appealed to you? Never, say never but I don’t feel any need to go to America, I’m very happy with the work we’re doing here. But if something came up, yeah, why not? I think the main difference between the industry in America and the industry in Britain is that in America they have made the possibilities of roles for black actors much wider, they seem to have a range of characters that are not unusual for black actors to play whereas I don’t think that’s necessarily the same here. 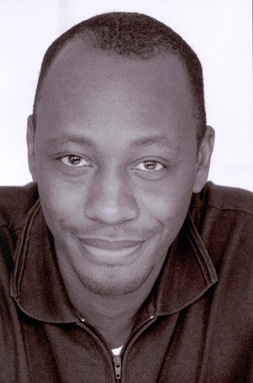 Last night I was watching a fantastic programme called Line of Duty and Lenny James is playing the lead. Now I thought to myself they probably would have done that without thinking many years ago in America. You began as an actor, what made you turn to directing? I enjoyed acting, but I spent an awful lot of time thinking about different ways to do things. Do you think you would have turned to directing without having been in the industry as an actor? I think I might have done, but it might have taken a different route. But I think back to when I did youth theatre and I was really directing stuff even though I wasn’t calling myself a director. I was always the person suggesting different ways to do things, but it was just part of the process. I can’t imagine not doing it; I can’t imagine what else I’d be doing. The desire to tell a good story and see the effects of a good story being told - that’s really what turns you on. Is it only black British artists Talawa encourages? No no. The writers and actors don’t have to be British, but it’s predominantly black British because obviously that’s where we are and there’s lots of voices here that need to be heard, but if anything comes along that’s significant of course we’d look into it. For example we’d do a black American production, like we did The Colored Museum at the V&A last year. Taking that one step further would a script by a non-black writer automatically be turned down? No, absolutely not. I’d read it and if it were good I’d probably say ‘Let’s do it.’ It would depend what it was. We wouldn’t necessarily do a play set in the Home Counties, but if it fits in with our ethos and there’s more than one way of looking at it I’m not opposed to the idea at all. I think the key ethos of this theatre company is about presenting attributes of the world through the prism of black British lenses, and through that prism we want to look at and explore everything. That’s the idea certainly. Also it’s a black led company, so that tends to be the only lens we can view the world through. What does being black British mean to you? Well I’m of Caribbean descent, so my parents came over and their aspirations for their life here and having a son that grew up in this country all feed into it. Also the ideas of being British and how difficult or easy it is to be British. As time went on, more people have come to this country so black British become other things. There are now black British people, not just African so it becomes a much more complex thing to define. As artistic director what are your future plans for the company? We want Talawa to become bigger and attract more attention, our summer school is also doing great things and we have plans to go international. I’m expecting great things in the next couple of years. I started in April and in these first few months we’ve got Talawa Firsts up and running and one of our next procedures is a play with Arinze Kene called God’s Property, which is a co production with Soho Theatre. I’m looking forward to that, it should be great fun. We want to keep producing plays that say something about being black being British, being human, and being in this world. In the next year or two there are a lot of things that are going to be happening, but am not sure I’m ready to say much more than that at the moment.